MacStories reports that Apple has seeded the first beta version of iOS 4.3 to developers. The iOS 4.3 beta is available in versions for iPad, iPhone 4 and 3GS, and third- and fourth-generation iPod touch, as well as a separate download for the new Apple TV. Consequently, it appears that Apple will no longer be supporting the iPhone 3G and second-generation iPod touch with operating system updates. Details of changes included in the new version are unknown at this time, although Apple has been said to be building in support for personal hotspot functionality as seen on the Verizon iPhone, as well as possible support for recurring billing for App Store content subscriptions such as News Corp.'s forthcoming tablet-focused news publication, The Daily. Update: We've heard that the new version now allows developers to stream video to compatible devices via AirPlay. MacStories also notes that Apple has implemented new multi-touch gestures for the iPad, including four- and five-finger pinch gestures to take users to the home screen, swipe for multitasking tray, and swipe to switch apps. 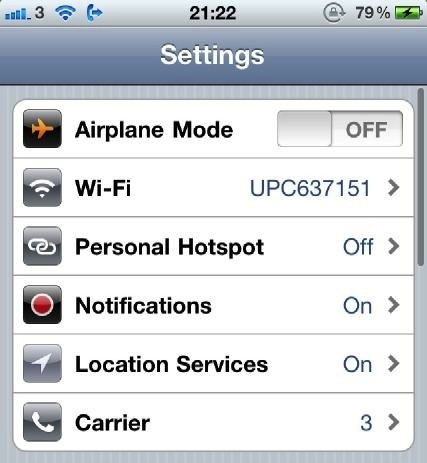 Update 2: Configuration settings for personal hotspot functionality are indeed present in the iOS 4.3 beta. Update 3: A new FaceTime icon and support for full-screen banner format iAds for the iPad have also been spotted.